Ohio is known for having six United States presidents who were native to the state. 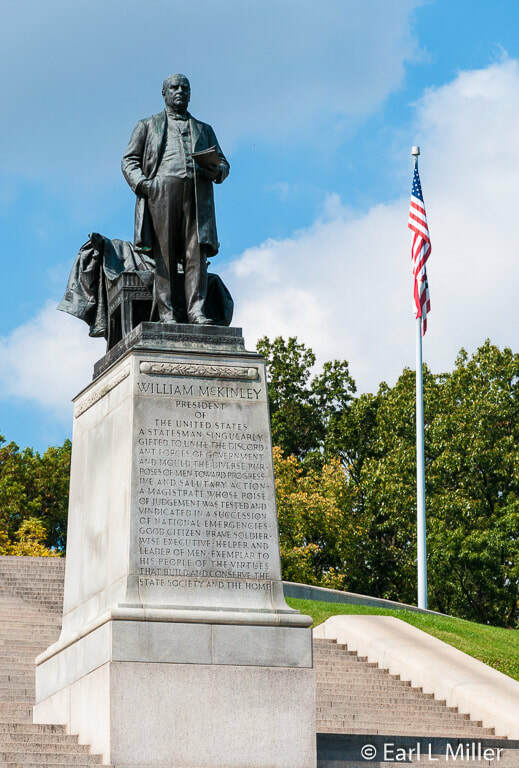 Although he was born in Niles, Ohio, William McKinley spent much of his life in Canton. He served as president between 1897 and 1901, the year he was assassinated. The city is the location of the McKinley Monument where he, his wife Ida, and their two small children are entombed. While in Canton, you can also visit the National First Ladies Historic Site. 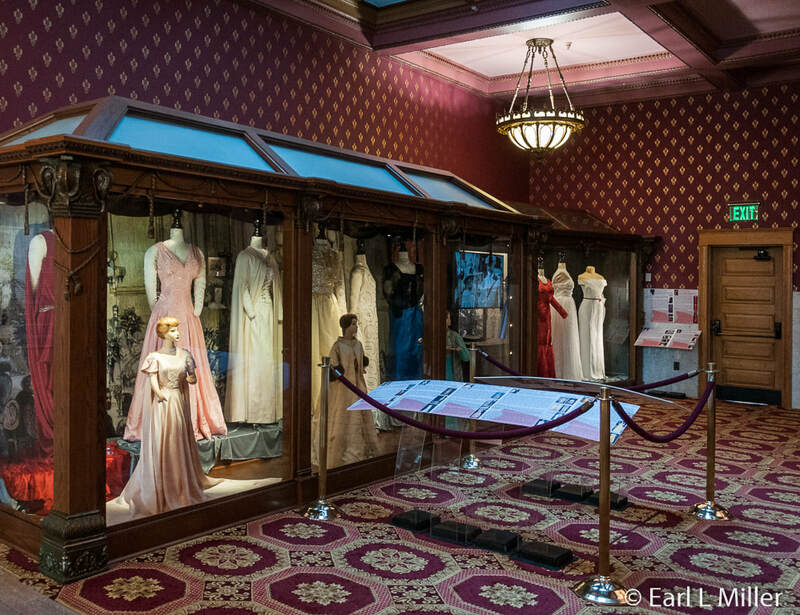 Besides the Smithsonian, it’s the only location where you can learn about all of our nation’s first ladies at one place. McKinley enlisted as a private in the Ohio infantry during the Civil War participating in several battles. He was the last Civil War veteran to be elected president and was mustered out at the war's end as a brevet major of volunteers. After the war, he first studied law in Ohio then in Albany, New York. In 1867, he returned to Canton to start his law practice. Four years later, in 1871, he married Ida Saxon, the daughter of the town’s leading banker. McKinley practiced law and worked for the Republican Party between 1871 and 1875. He was a U.S. Congressman from 1877 to 1884 and again from 1885 to 1889. He served on the Ways and Means Committee where he worked to pass the McKinley Tariff of 1890. After losing his seat in 1890, he became governor of Ohio in 1892 where he served two terms. Upon winning the Republican nomination and then the election, William McKinley became the 25th president of the United States. He ran against William Jennings Bryan both times. McKinley supported policies benefiting American business, including high protective tariffs and deflationary fiscal policies. One of his first actions as president was to pass the Dingley Tariff Act of 1897. It raised import duties higher than the McKinley Tariff. He also passed the Gold Standard which made gold the base for our currency. He was known for his expertise in foreign affairs. The 100-day 1898 Spanish American War, which gave Cuba its independence, occurred under his first term. However, that country’s sovereignty was restricted by the American right of intervention. The United States destroyed the Spanish fleet in Cuba, occupied Puerto Rico, and won the Battle of Manila Bay in the Philippines against the Spanish Pacific fleet. It was under the McKinley administration that the United States annexed Hawaii in 1898. Puerto Rico, Guam, and the Philippines became U.S. territories after the Spanish American War. In 1899, the U.S. and Germany partitioned the Pacific’s Samoan Islands. He was also involved with China’s Boxer War and the beginning of the U.S. development of the Panama Canal. The McKinleys arrived in Buffalo, New York on September 4, 1901. On September 5, he was to deliver an address on ending American isolationism and tour the Pan American Exposition. It was on September 6 that he planned to visit Niagara Falls with Ida, return to Buffalo, and greet the public at the Temple of Music at the Exposition. Secretary to the President, George B. Cortelyou, feared an assassination attempt might take place. He didn't want McKinley shaking hands with the public and canceled it from the schedule two times. McKinley resumed it both times. At the Temple of Music, Cortelyou made sure extra police and detectives were present. He also made certain that three Secret Service agents were assigned to McKinley for the trip. On September 6, 1901, at the Temple of Music, the procession of people shaking hands with McKinley moved through. Upon approaching McKinley, 12 year old Myrtle Ledger of Spring Brook, New York, who was accompanied by her mother, asked for McKinley’s red carnation that he wore in his lapel. It was the president’s good luck charm. He took it off and gave it to her. The rule in those days was to approach the president with an open and empty hand. Being a hot day, many people carried handkerchiefs. In walked Leon Czolgosz, who had his right hand wrapped in a handkerchief as if it was injured. He had lost his job in a Cleveland factory during the Silver Panic of 1893 and had turned to anarchism. He viewed McKinley as a symbol of oppression and felt it was his duty to kill him. At 4:07 p.m., instead of shaking hands, Czolgosz fired two shots at the president. One penetrated McKinley’s abdomen. The other deflected off a button and only grazed him. Czolgosz tried to fire a third shot but was restrained from doing so when James Parker, from Georgia, who was next in line, slammed into Czolgosz reaching for the gun. Numerous men piled over Czolgosz hitting him with their fists and rifle butts. McKinley asked the crowd to stop. McKinley was taken to the Exposition hospital by ambulance. Unfortunately, the facility only dealt with minor medical issues. 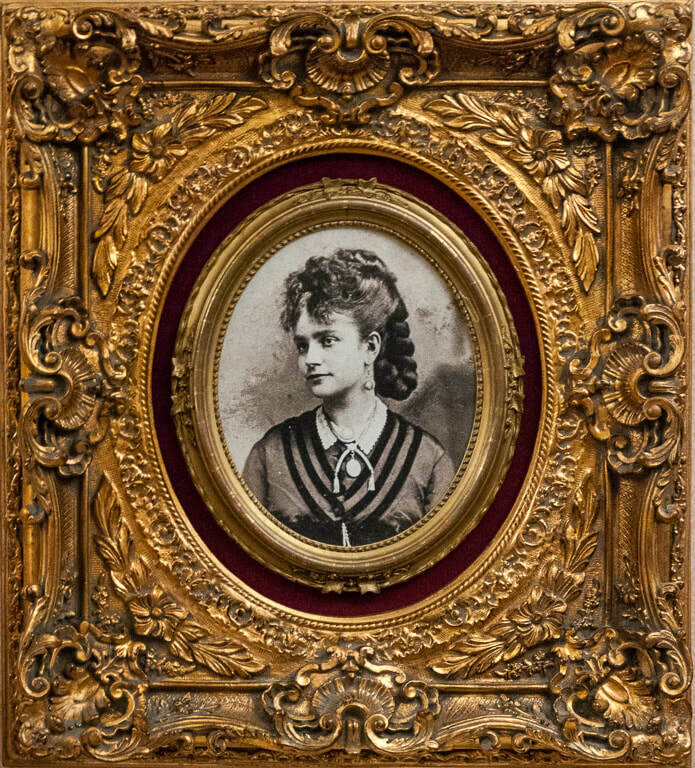 Ida was not there at the time of the shooting as she had returned to the Milburn House, home of the exposition president, to rest. The city’s best surgeon, Dr. Roswell Park, was in Niagara Falls performing neck surgery. When told he was needed in Buffalo, he refused to be interrupted even for the President of the United States. He was then told who had been shot. Two weeks later, he saved the life of a woman who had almost identical injuries to McKinley. Another problem was that the fading afternoon light was the major source of illumination when Dr. Matthew D. Mann arrived. He was a noted gynecologist without experience in stomach wounds. A better light was rigged, but the hospital lacked such equipment as retractors. Mann was unable to probe the wound well to try to find the bullet and never located it. A primitive x-ray machine was not used on McKinley. Another complication was McKinley was obese. Mann sewed up the incision and wound without drainage. Precautions against infection in 1901 were negligently handled. When Dr. Park arrived during the operation, he was unwilling to interfere. McKinley was taken to Milburn House by ambulance. McKinley seemed to be recovering. Dignitaries such as Vice President Teddy Roosevelt, much of the Cabinet, and Senator Hanna rushed to Buffalo. They left on September 9 as the crisis seemed to be over and they were confident of the president’s recovery. Vice President Roosevelt left for a vacation in the Adirondack Mountains. In the early morning of September 13, McKinley collapsed. Urgent word was sent to Vice President Roosevelt to return. Since he was 12 miles from the nearest telephone or telegraph, a ranger was sent to find him. On September 14, President McKinley died of gangrene. At the time of the president's death, Vice President Roosevelt was on his return trip to Buffalo. McKinley’s body was taken to Buffalo, laid in state in Washington, then came to Canton. The prosecution against Czolgosz for President McKinley’s murder lasted two days with the defense calling no witnesses since Czolgosz refused to cooperate with them. He was sentenced to death and executed by electric chair on October 29, 1901. McKinley’s death led to Congress in 1906 passing legislation designating the Secret Service as the agency in charge of presidential security. Fear of anarchists led to a consolidation of surveillance programs that ultimately resulted in 1908 in the establishment of the FBI. Upon McKinley’s return to Canton, he was interred at the Werts Receiving Vault in Canton's West Lawn Cemetery. Immediately following the service, several of his closest friends and advisors met to discuss location of a proper memorial to mark his final resting place. This included Ohio Senator Mark Hanna, George B. Cortelyou, and William R. Day of Canton.The site was located at Canton’s Westlawn Cemetery which McKinley had suggested was appropriate for a Stark County soldier’s and sailors’ memorial. In 1901, the McKinley National Memorial Association was organized. Theodore Roosevelt chose the First Board of Trustees based on Ida Saxton McKinley’s suggestions. They purchased the site and appealed to the public for $600,000 to fund it. Governor George Nash proclaimed McKinley’s birthday in 1902 as a special observance day by the state’s schools. On that day, youngsters contributed in large numbers to the fund by bringing in their pennies. Contributions were also sent from such foreign nations as Great Britain. Construction started in June 6, 1905 with nine different states donating materials. Ohio supplied all the concrete, brick, and much of the labor. Massachusetts provided the exterior granite. The interior walls are of Tennessee marble. New York, Pennsylvania, Vermont, Wisconsin, Illinois, and Rhode Island also contributed. It was completed in 1907 and dedicated September 30 of that year. 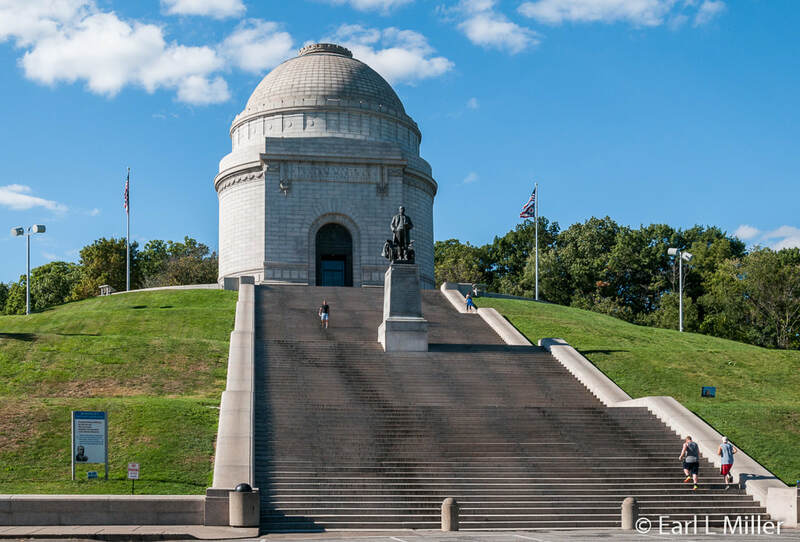 The memorial overlooks Canton and was designed by architect H. Van Buren Magonigle. The design was to combine the cross of a martyred president with the sword of a commander-in-chief in time of war. The monument is at the cross’s center and forms the handle of the sword. Originally, a 575-foot, five level, reflecting pool was on the grounds. It stretched from the hill’s base in front of the memorial. This Long Water and the 108 steps leading to the mausoleum formed the sword’s blade. Since the pool was often stagnant, it was filled in during 1951 creating a depressed lawn. Midway up the steps is a 9-1/2-foot tall, bronze McKinley statue sculpted by Charles Henry Niehaus. It depicts President McKinley delivering his last speech at the Pan American Exposition and is based on a photograph by Frances B. Johnston. It’s called the Buffalo pose. 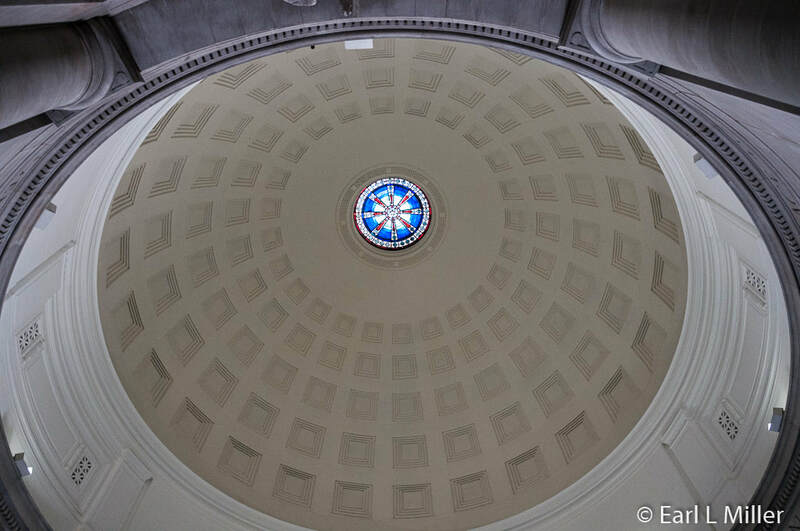 The mausoleum consists of a domed pink granite building. Its double bronze entrance doors were the largest in the nation at the time of their installation. The floor is composed of colored marble in a cross pattern. Its skylight has 45 stars representing the 45 states in the Union at the time. 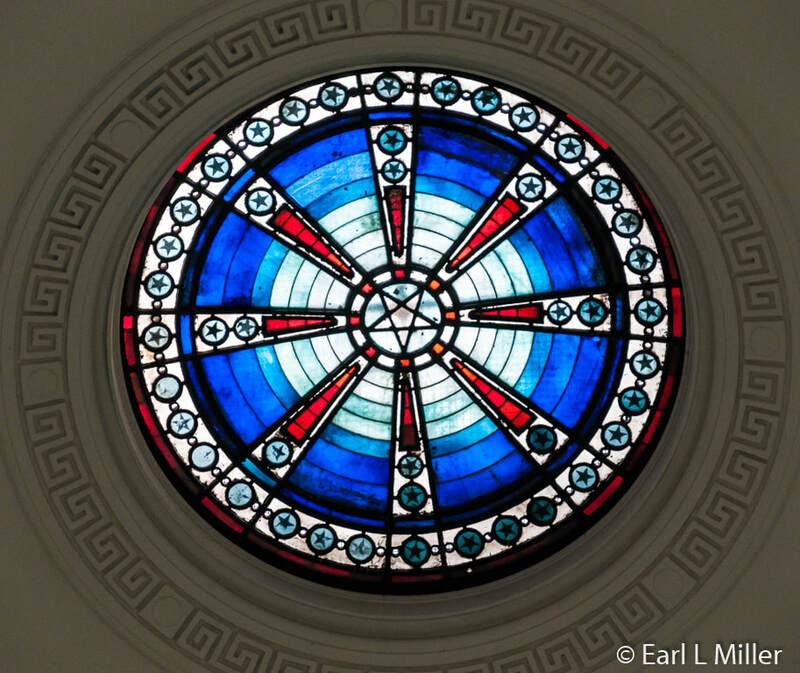 It was installed during a restoration project in 1976 since a clear glass skylight was the original. It contains the tombs of McKinley and his wife, Ida, who died during the end of May in 1907. They lie in the center, side by side, in two polished, dark-green granite sarcophagi on top of polished, dark maroon granite. To view it, a visitor must raise his head in reverence. Interred in the back wall are their two daughters, Ida, who died at 4 months, and Katie, who died at 3-1/2 years. Words go around the interior that are part of the last speech. They say “Let us ever remember that our interest is in concord not conflict and that our real eminence rests in the victories of peace not those of war.” Two plaques inside provide the memorial highlights and the highlights of his life. In restoring the monument between 1985 and 2002, a window was taken out and an elevator installed as well as a back parking lot. This removed having to climb all but 12 of the steps. 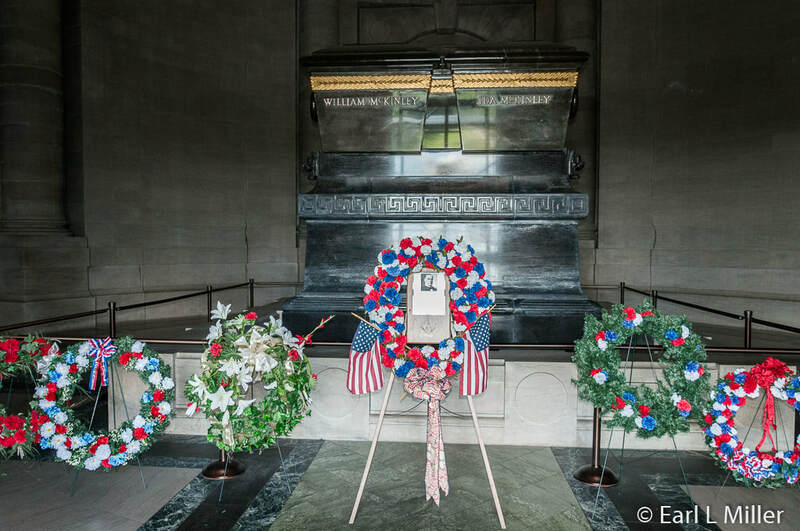 The memorial is run by the William McKinley Presidential Library and Museum which is next door. An umbrella of the Stark County Historical Society, it administers the memorial and its grounds. The monument is open April 1 through December 1 Monday-Saturday, 9:00 a.m. to 4:00 p.m.; Sundays, 12:00 to 4:00 p.m.; closed major holidays. It is located next to the museum at 800 McKinley Monument Dr. NW, Canton, Ohio. It has been designated as a National Historic Landmark. Admission is free. Mary Regula, whose husband, Ralph Regula, was a United States Congressman from Navarre, Ohio was concerned that first ladies and their roles were ignored over the years. There was a paucity of research materials about them. In January 1998, she created the formation of a new national organization, National First Ladies’ Library. The initial goal was to develop an on line bibliography which evolved into the museum and library. A web site was unveiled the next month with First Lady Hillary Clinton making the first hit to access her own bibliography. The Library’s web site under Research is outstanding and contains massive information on each First Lady. It consists of the general biography, juvenile biography, bibliography, audio visual, manuscripts, lesson plans, and timeline for each. Carl Anthony, noted historian and author, created the bibliography while the Stark State College of Technology developed the web site to be updated annually. It is really an encyclopedia on the first ladies and can be accessed by anyone at their web site. In June of 1998, the grand opening and dedication of Ida Saxton McKinley House, the home of the National First Ladies’ Library, occurred. Rosalynn Carter cut the ribbon In October 2000, Bill Clinton signed legislation establishing the Saxton McKinley House as the First Ladies National Historic Site. It is operated and managed under a cooperative agreement with the National Park Service. The Education & Research Center where tours start and admission is paid is a block away. 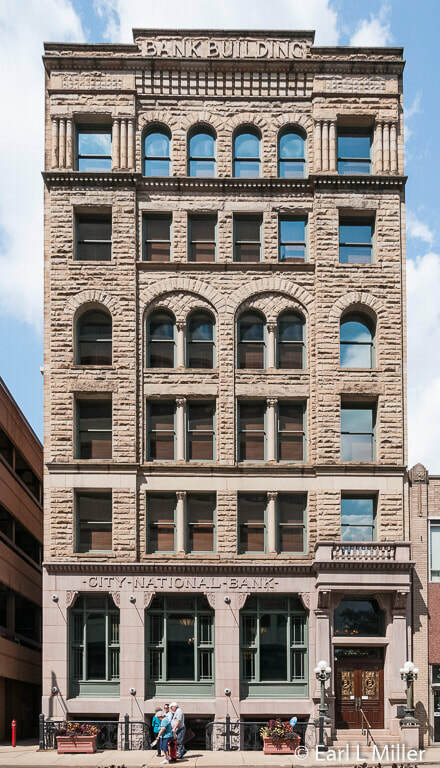 It was formerly the City National Bank Building and given to the National First Ladies’ Library in 1999. It is only place in the nation dedicated to documenting the lives and accomplishments of America’s 41 first ladies and other important American women in history. In 2003, the Library conducted a massive renovation of the bank building. First Lady Laura Bush dedicated the new Education and Research Center on September 4, 2003. In 2011, the Education and Research Center was donated to the National Park Service (NPS) and became part of the First Ladies National Historic Site. The Library is now a managing/operating partner of the site for NPS and continues to privately own the gated parking lot. The first floor of the center is where you will see a large room of exhibits about the first ladies. It also features a theater themed to show videos about the current display and hold special events. A small library room replicates First Lady Abigail Fillmore’s collection for the White House Library. Overlooking the room is the portrait of Helen Taft. On the second floor, visitors find the extensive main National First Ladies’ Library. A conference room is on the third floor. When we visited in June, the temporary exhibit was on inaugural gowns. 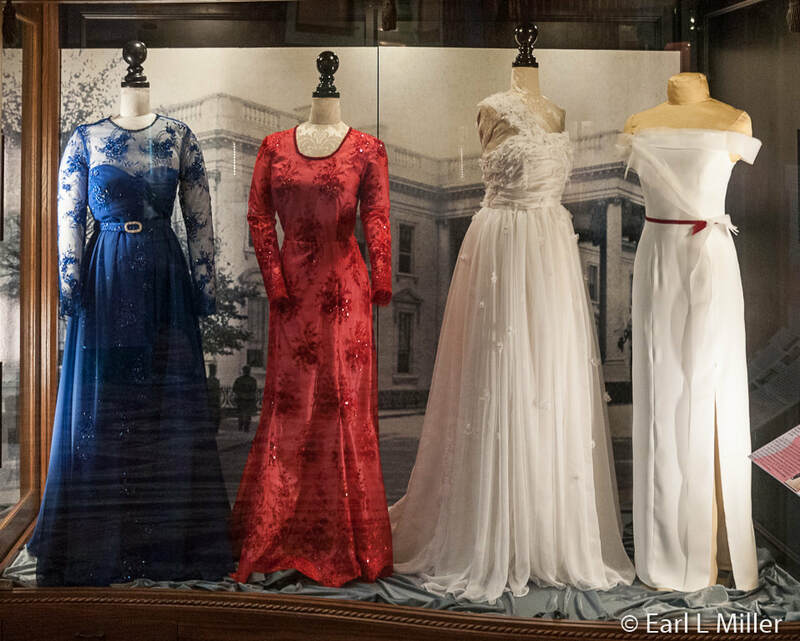 We saw the gowns of fourteen first ladies. Some of those were Mamie Eisenhower, Jacqueline Kennedy, Lady Bird Johnson, Barbara and Laura Bush, and Nancy Reagan. The current exhibit is “Life in a Gilded Cage” and how the first ladies’ role has expanded throughout history. Some of the themes are as hostess of the White House, international ambassador, campaigner, fashion symbol, and Honorary National President of the Girl Scouts. There is no instruction manual on what a first lady can do. Some have been more active than others. For example, Martha Washington, a superb equestrian, rode a horse from camp to camp delivering messages to the troops during the Revolutionary War. Mary Todd Lincoln was an avid abolitionist. Edith Wilson ran the presidency after her husband had a stroke while in office. Florence Harding marched with the suffragettes and was the first to vote for her husband for president. Hillary Clinton was concerned with health issues while Michelle Obama turned to school lunch programs. On permanent display are miniature First Lady gown reproductions. These gowns are based on the Smithsonian’s First Lady Gown collection. They were displayed by Evyan Perfume Company to promote their perfume, White Shoulders, in the 1980s. The collection was a gift to the National First Ladies’ Library from the Museum of American Political Life at the University of Hartford in West Hartford, Connecticut. That museum has since closed. 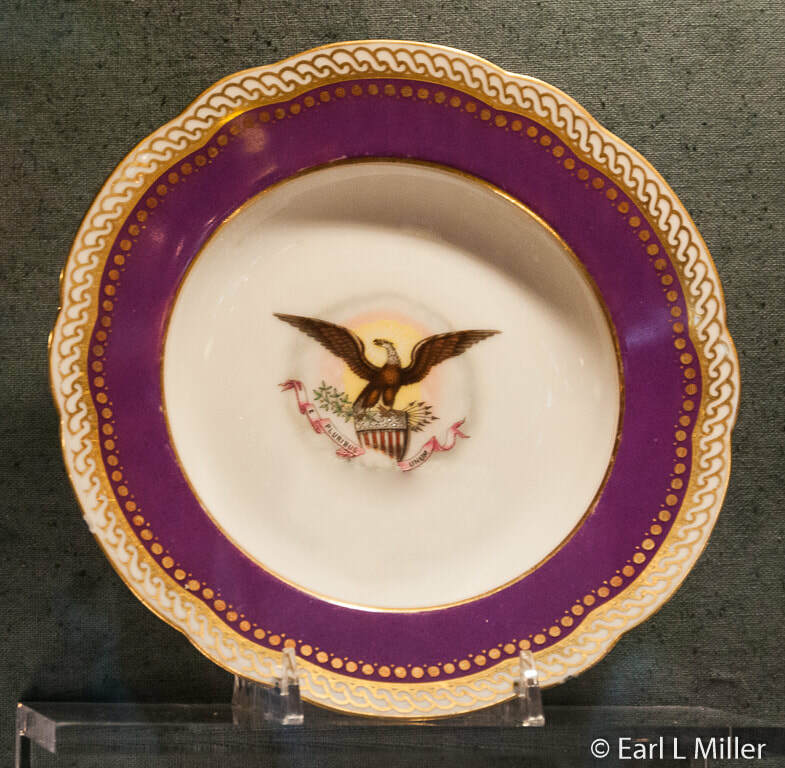 Another exhibit, which is on a long term loan, is the collection of presidential china and is called “Party Politics: Entertaining at the White House.” It features Mr. and Mrs. Set Charles Momijan’s private presidential china collection. Momijan was a retired Ford Motor Company executive who was ambassador to the United Nations under the Carter administration. He served as presidential advisor to five administrations starting with the Johnsons. He started collecting in the 1950s when dealers included china pieces in with the presidential letters and documents he was amassing. Enthralled with the historical significance and beauty of each of the pieces, he sought to gather the first ladies’ personal china collections. Among these are the purple-red border called “solferino” china from the Lincoln administration, North American flora and fauna scenes selected by the Hayes administration, wildflowers designed by Mrs. Lady Bird Johnson, and the corn and goldenrod design china of Mrs. Caroline Harrison. Nancy Reagan chose red for the service bands. The Clintons selected ones featuring views of the White House instead of the Presidential Seal. Laura Bush continued to use the Clinton set at state dinners. Docents greet you at the Saxton McKinley house, a two and three-story building. It was constructed around 1840 by Ida McKinley’s maternal grandfather, George Dewalt. Her other grandfather, John Saxton, started the Ohio Repository newspaper (now the Canton Repository) in 1815. The original area was at the structure’s rear and was a two-story gable roofed building. Ida's father, James Saxton, a banker, enlarged it in 1870. It was the girlhood home of Ida and where the McKinleys lived when he was a U.S. Representative and Ohio governor. It’s the only remaining residence in Canton with direct ties to the McKinleys. They did have another home on North Market Street in Canton which they used as a prop when he conducted his 1896 front porch campaign. It was leased to them by Ida’s father. They purchased that one from her father in 1899, and Ida lived there after McKinley’s assassination since the Saxton McKinley house was leased. It no longer exists. Their daughter, Katie, was born on December 25, 1871 and Little Ida on April 1, 1873 at the North Market House. Little Ida died there as well on August 20, 1873 at only four months. At the Saxton McKinley home, Ida’s mother died in 1873 and Katie on June 25, 1875. The loss of her mother and daughters left Ida with severe medical problems ranging from depression to epilepsy. She became a semi invalid. A significant event occurred at the Saxton McKinley house. In August 1880, a reunion of Ohio Union Army veterans was held. Congressman McKinley hosted overnight guests including the incumbent President Rutherford Hayes and future President James Garfield. This made it the only private home where three presidents slept under the same roof on the same night. The public rooms in the Saxton McKinley home have been renovated under the direction of Dr. Sheila Fisher, the Library’s Executive Vice President. She was asked to do this by Library Founding Chair and former President, Mary Regula. A lot of care, time, and expense were spent that all the design elements such as the wallpaper patterns, carpets, and area rugs were authentic. Visitors see mostly period furniture today but also family photos and a few family pieces. The ceiling lamp at the front entry and stairwell was made in Cleveland, Ohio. There is a question as to whether it was the original lamp or not. However, it is of the same type. The carpet was woven on the same looms that milled English designer, William Morris, used 120 years ago. The first floor parlor’s centerpiece is a picture of Ida above the fireplace. 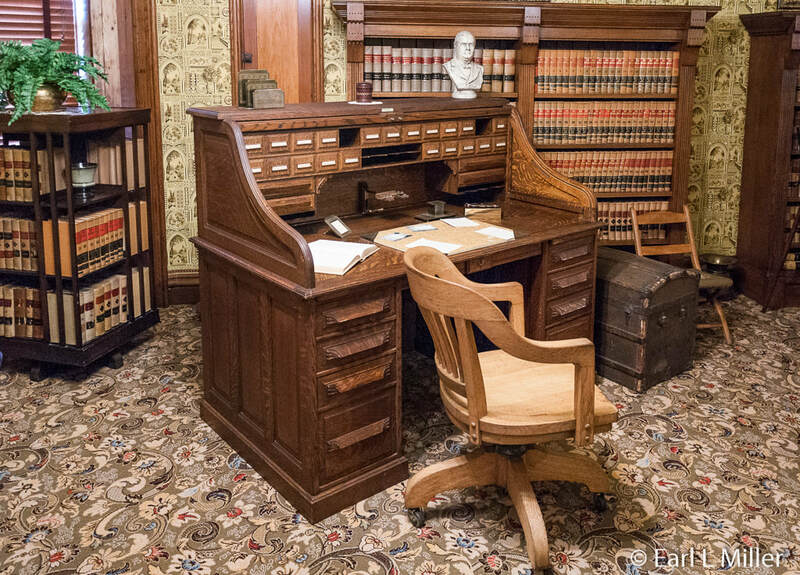 The room also houses her desk which she took to the White House when McKinley was president. On top of the desk, visitors spot copies of three letters she wrote. The formal parlor has very few photos and items are period rather than family. It is done in an Italianate style that was popular after the Civil War. The room has 23 wallpaper patterns pieced together in shades of tan, grayish green, rose, and beige. The chrysanthemum Wilton Carpet pattern was loomed at the same mill from which Dolly Madison ordered some of the White House carpet. They do have an original music box which Ida purchased when she went on a grand tour of Europe with her sister in 1869. The docents will normally play it. 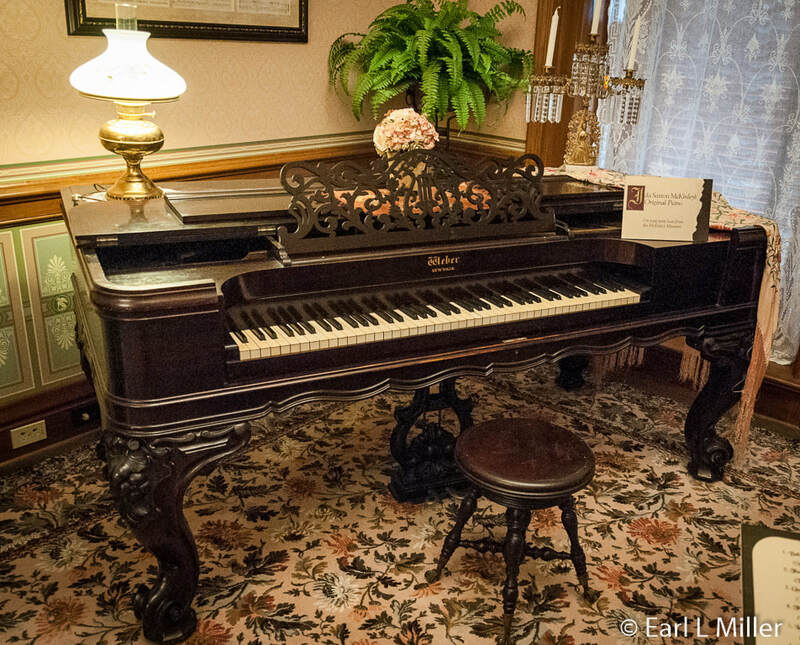 The piano was Ida’s and is on loan from the McKinley Museum. 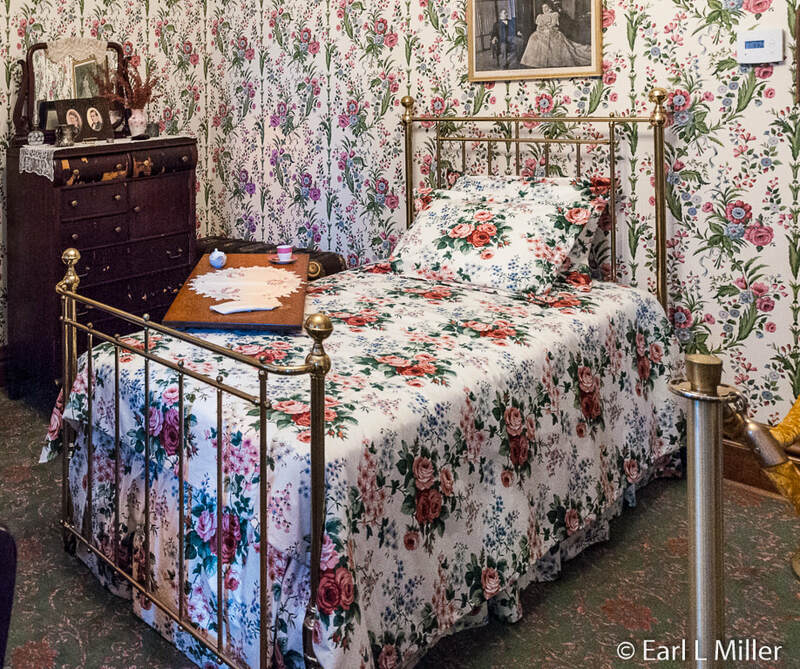 They had a photo of the home’s dining room wallpaper. Cooper Hewitt Museum, a Smithsonian Design Museum, in New York City, found a roll of it. A firm in Barcelona, Spain shipped the home a sample then reproduced it. You will see photos of the Saxton family downstairs which include her sister and her seven children including Marshall Belden Sr., Ida’s grandnephew. Belden was responsible for saving the home. It was about to undergo the wrecking ball as it was in great disrepair after serving as a tavern, brothel, and rooming house when it left the hands of the Saxton family. He remembered sliding down the home’s three story bannister as a child and could not bear to see the structure destroyed. He purchased the home and poured $1.5 million into the home’s exterior which included tearing away the brick facade covering the entire front of the structure. He had the home listed on the National Registry of Historic Places and sold it to the National Park Service in 1995. On the second floor is Ida McKinley’s bedroom and sitting room. 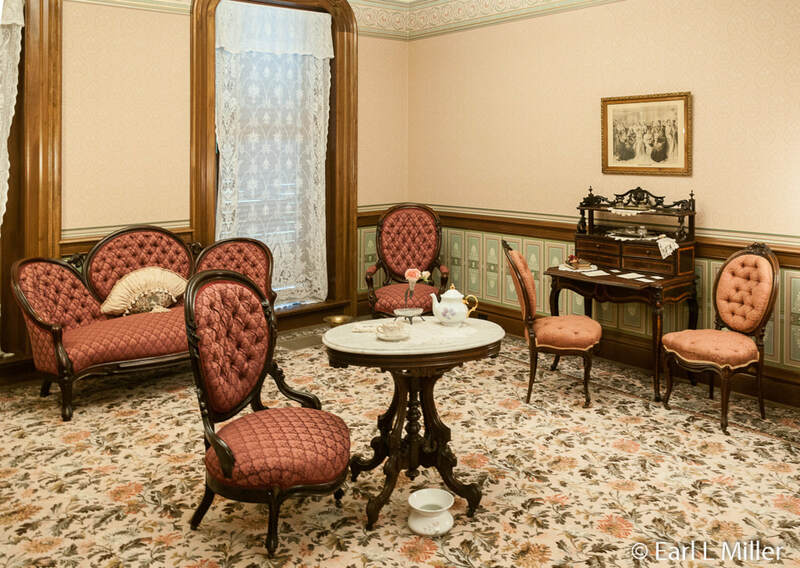 Her sitting room was replicated from historic photos of an original room believed to have been part of the North Market Street house from the year 1902. The marble fireplace is original to the room with a picture of their daughter Katie hanging above the fireplace. After her husband’s assassination, Ida created her own shrine. It included three vases of roses, a bronze bust, and a picture of the President set atop a flag. It can be viewed in the sitting room. The pictures above her bed are from the 1896 presidential campaign. The brass bed duplicates the one the McKinleys brought back from the White House. The invalid table, like a hospital table, was hers. You will find her combs and other personal items. Also on display are some of the slippers Ida made. She produced more than 3,000 pairs for family and charities. The third floor is interpreted as a ballroom and McKinley’s study. It was in this study that he drafted his tariff bill. All wallpapers and carpets are based on photos of his study taken during his official residence. The papers feature a scenic multicolored design that coordinate with those on the ceiling. The carpet was loomed in England in the Victorian style. It closely resembles the one in the original photograph. McKinley items in this room are a trunk, a small desk used at the White House, and a safe. A small case has his gold pocket watch given to him by his mother on the day he married, a gold pendant watch he gave to Ida on their 25th anniversary, ornate pipes, and a diamond ring. The McKinleys made the ballroom into their living area during the time they occupied the home. According to director, Patricia Krider, plans are in January and February of 2018 to restore this area to how the McKinleys lived. The ballroom houses the 90 photo collection of Craig Schermer of the first ladies. He is the foremost collector of first ladies artifacts in the nation. Edith P. Mayo, curator of the Smithsonian’s famous exhibit on American first ladies, wrote the captions. 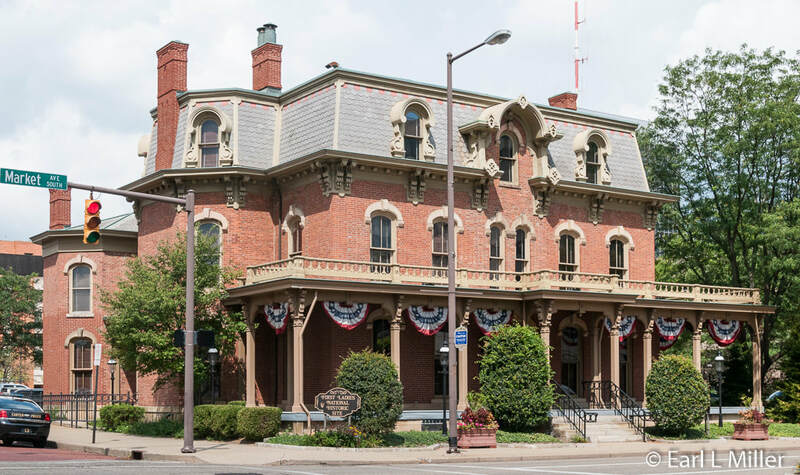 You will find the Saxton McKinley house at 331 Market Avenue South in Canton. It can only be seen by guided tour which lasts around an hour. They take place approximately every half hour from 9:00 a.m. to 3:00 p.m. Groups of six or more are required to make a reservation. Reservations are recommended for others. People must stop first at the Education and Research Center at 205 S. Market Avenue to pay admission. Self guided tours of the exhibits there usually last 45 minutes. Both buildings have elevators so are handicapped accessible. 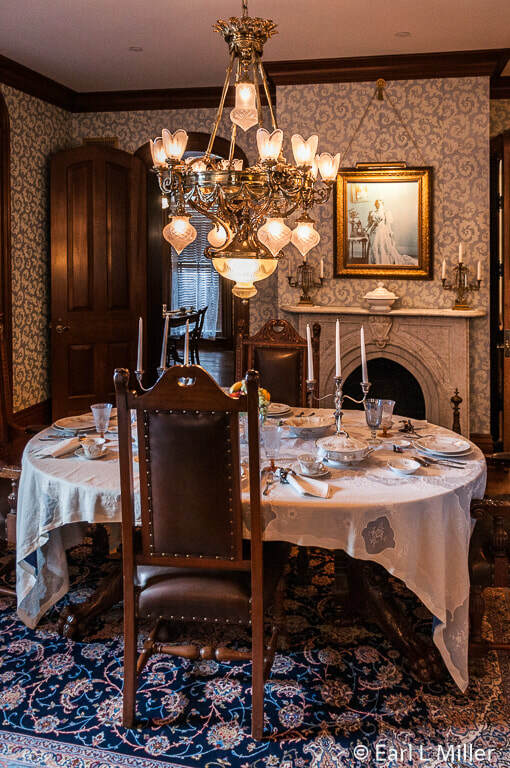 First Ladies National Historic Site is open year round from Tuesday through Saturday. The site is also open on Sunday afternoons from June through August. Admission is $7 for adults, $6 for seniors ages 62 and over, and $5 for children under age 18. National Park passes provide free entrance to the Education and Research Center. 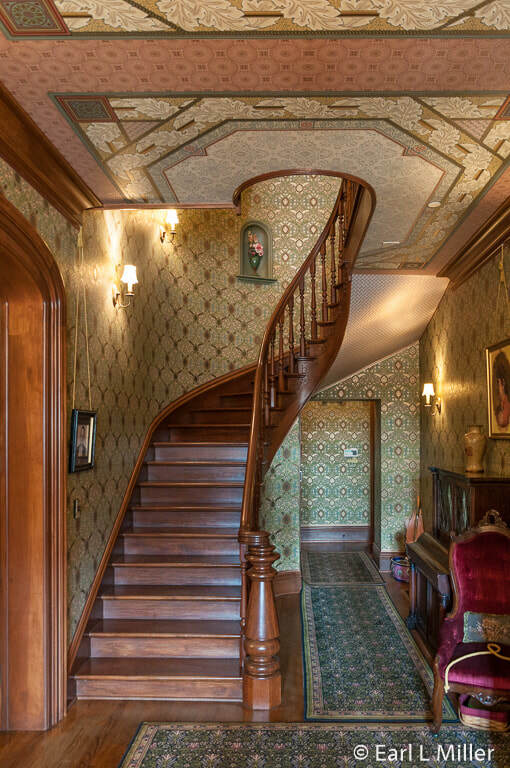 With the passes, tours of the Saxton McKinley House are reduced to $4. Parking is free. A code to the gated lot is given upon reservation. To make a reservation, call (330) 452-0876 x320.